We look forward to hearing from you, learning about what you want and need from Top Speed Tennis, and lending a helping hand when you need it. Below are the best ways to get in touch with us depending on the topic. We take support very seriously and will almost always reply within 24 hours (usually much sooner than that). If you’ve got any questions about what you get with membership, just email or call us! If you’re running into issues using the website or receiving our emails, below are your best resources. Note: In case you’re wondering…the reason we do not offer phone support immediately is for efficiency. All of our help desk communications are highly focused and data driven. Exchanging screenshots, domain names, links, charts, statistics, and other files is done much more effectively with electronic means of communication. This also ensures that a record is kept for later reference. If you need any help managing your account or anything else, please use the resources below. If you need some help with your game or understanding of concepts in the videos, just use the comments area at the bottom of each instructional page. We really want to hear what you think of the site and what you’d like to see improved or added. To give us feedback of any kind, just use the button that’s attached to the bottom-right of most pages on the site. 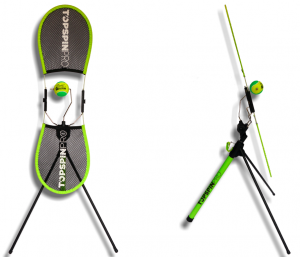 "The best training aid ever invented!" ...and discover the awesome video BONUSES just for TopspinPro owners! Get the Founding Member Price!